HOUSTON — The Houston Dynamo signed seven players to short-term agreements ahead of the club’s fourth-round Lamar Hunt U.S. Open Cup match against North Carolina FC at WakeMed Soccer Park in Cary, NC., on Wednesday. Kickoff is set for 6:30 p.m. 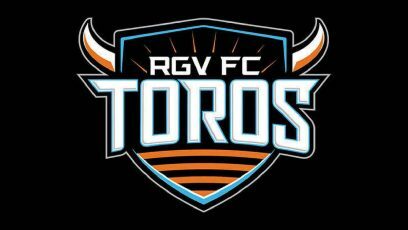 The seven RGV FC players signed to short-term agreements are defender Kai Greene, midfielders Jorginho James, Charlie Ward and Eric Bird, and forwards Ruben Luna, Kyle Murphy and Camilo Monroy. MLS clubs may sign players from their USL affiliate to short-term agreements (up to four-day contracts) for Scotiabank CONCACAF Champions League, Amway Canadian Championship, Lamar Hunt U.S. Open Cup and exhibition matches. An MLS club may sign a player to a maximum of four short-term agreements each season (maximum of 16 days). Clubs are not permitted to call up academy players or USL players not signed to professional contracts. Following the team’s U.S. Open Cup match on Wednesday, the Dynamo will return to league play, traveling to face LA Galaxy at StubHub Center on Saturday. Kickoff is at 10 p.m.